Dear Jesus. Thank you for your word of truth. Thank you for the spiritual principles nestled within these words. I can really wrap my mind and heart around them with the help of your Holy Spirit. I can find strength and meaning and hope and leverage to be propelled forward in a Fallen world, towards you and your kingdom. What you teach in your word is so satisfying and life giving, much, much more than any of the bad news and political “reality show” stuff in the media. Your word stands tall and pristine, beckoning the whole world to come to the cross of Christ and find sustenance in his grace and truth. Continue to draw all people unto yourself. Help me to get the point of this passage. Help me to grow through it. I thank you and I pray in Jesus’ name. Amen. This is the second Passover. The first Passover was initiated in Egypt. It is recorded in Exodus 12. The Passover, followed by the Feast of Unleavened bread was an eight day religious event that commemorated the Israelites escape from slavery in Egypt by the grace and power of God. Leviticus 23:5-6, reads, “5 The Lord’s Passover begins at twilight on the fourteenth day of the first month. 6 On the fifteenth day of that month the Lord’s Festival of Unleavened Bread begins; for seven days you must eat bread made without yeast.” Celebrating the Passover was to remember God’s grace and protection when he brought them out of Egypt. As the tenth and final act of God’s judgment, the angel of death passed through Egypt, striking the firstborn in every household. But the angel “passed over” the homes of Israelites who had obeyed God by killing a lamb and sprinkling its blood on the doorframes. This event struck terror in the hearts of the Egyptians, so they almost drove the Israelites out of Egypt. Celebrating the Passover was a time of joyful celebration in the barren desert. What a stark difference this makes to the harsh life wandering in the desert! All the people would be drawn to worship God and fellowship with one another. It is kind of like our Christian Easter Celebration. Specific dates were declared by God. It was part of the Israelites yearly calendar. They needed to commemorate it, putting it on the calendar, sort of speak. The Passover is especially important to remember each year. God wanted his people to always remember the spiritual principles of the Passover, which show that God hates sin, but loves and saves sinners who trust and obey him. There needs to be a time, every year to remember Jesus’ grace and remember what Jesus has done for us. These things need to be remembered from generation to generation and passed down. Setting aside a certain time in the year is a very effective way to do this. The Passover was to be celebrated at God’s appointed time. Look at verse 2, “Have the Israelites celebrate the Passover at the appointed time.” These people were to follow God’s time schedule. It is not according to their time, but according to God’s time. Why? God’s time is always best. He knows the big picture. He knows how things are supposed to come together. We are blessed when we follow God’s time schedule in all things. Think about it…can we just celebrate Christmas, Easter, or Thanksgiving any time we want? We can I guess, but you will not celebrate it with anyone else and you will not celebrate it with the rest of the Body of Christ. I think that is why God set a specific date. It was so that they could celebrate the Passover all together. God is into communal worship. It was a celebration. Look at verse 2 again. How often do people worship with a joyless, solemn expression? Some people are so bored with the things of God. But if you are bored then they may not know the Lord, for in God there is true life and life to the full. They needed to celebrate the Passover in God’s way. Look at verse 3, “Celebrate it at the appointed time, at twilight on the fourteenth day of this month, in accordance with all its rules and regulations.” People tend to want to worship the Lord or live out the life of faith in their own way. Yes, there is room for some self expression in God. But everyone can not just wander off doing their own thing. That just will not work. God wants his people to be one. Their oneness will be a testimony to an unbelieving world that the Creator God, the God of Abraham, Isaac and Jacob, the one true God is their God and the one whom the whole world must turn to for salvation. The Israelites were very obedient to God’s demands. Look at verses 4-5, “4 So Moses told the Israelites to celebrate the Passover, 5 and they did so in the Desert of Sinai at twilight on the fourteenth day of the first month. The Israelites did everything just as the Lord commanded Moses.” This was so hard to do. There must have been millions of Israelites. And yet the spirit of God compelled them to obey as one. What unity they had as a people. I pray for such unity among the Body of Christ. There were certain circumstances which prevented a person from celebrating the Passover at the proper time. Some people, who were ceremonially unclean because of a dead body, could not celebrate the Passover. They really wanted to, but they could not because of the law. And so they brought their predicament to Moses in verses 6-7, “But some of them could not celebrate the Passover on that day because they were ceremonially unclean on account of a dead body. So they came to Moses and Aaron that same day 7 and said to Moses, “We have become unclean because of a dead body, but why should we be kept from presenting the Lord’s offering with the other Israelites at the appointed time?” Moses did not say, “no”. I am sure that he was impressed about their sincerity to keep the law. He sought the Lord on how to proceed. God opened the way for them to celebrate the Passover. 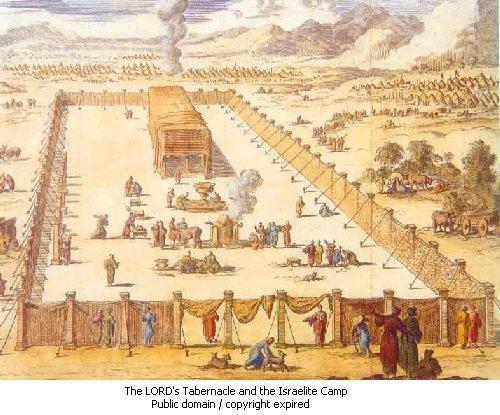 Look at verses 9-12, “9 Then the Lord said to Moses, 10 “Tell the Israelites: ‘When any of you or your descendants are unclean because of a dead body or are away on a journey, they are still to celebrate the Lord’s Passover, 11 but they are to do it on the fourteenth day of the second month at twilight. They are to eat the lamb, together with unleavened bread and bitter herbs. 12 They must not leave any of it till morning or break any of its bones. When they celebrate the Passover, they must follow all the regulations.” They would be able to do it one month later. But they would still have to obey. All of the laws would still apply. If they were unclean they would have time to be purified. If they were out on a journey they could make it back in time to celebrate the Passover. God gave a second chance, for everyone should participate. He really wanted everyone to participate. God did not adjust the requirements of the Passover, only the time. The standards of holiness were maintained and God opened the way. Sometimes we face a predicament where it looks like we are to going to have to compromise God’s standards. But there is a way to solve the problem when we humbly come to the Lord. Like Moses, we can be given wisdom to reach a workable solution. Where God’s holy standards are maintained and unity is achieved. God did not have much patience for those who were ignoring the celebration of the Passover and had no good reason for not showing up. He laid out some strict rules for those who ignored his directive. Look at verse 13, “But if anyone who is ceremonially clean and not on a journey fails to celebrate the Passover, they must be cut off from their people for not presenting the Lord’s offering at the appointed time. They will bear the consequences of their sin.” This was a very serious matter and shows how serious God is about unity among his people. Foreigners were not excluded in the call to worship. In fact they were all to be included. Everyone was supposed to attend the Passover celebration, even those who were not technically Israelites. Look at verse 14, “A foreigner residing among you is also to celebrate the Lord’s Passover in accordance with its rules and regulations. You must have the same regulations for both the foreigner and the native-born.’” Yes, God did call Israel to be a kingdom priests. They had a special purpose in God. They were to set an example on how one nation could and should follow him. That was God’s hope. But his greater goal was to have all people of all nations obey him and worship him. This is reflected in his call to those who are foreigners among the Israelites. God was not going to compromise his requirements for those among the Israelites who were foreigners or native born. They were to obey just as his own people were called to obey. But God was inclusive. They could participate and be part of the Israelite people. One Word: Worship the Lord in his way and his time with the rest of God’s people.